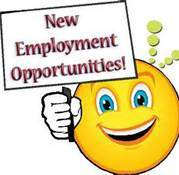 Creative Surfaces has a wonderful Employment Opportunity in Rapid City SD for countertop sales. If you are someone who enjoys sales or know of someone looking to utilize and build upon their sales skills, please pass this opportunity along to them. Creative Surfaces Inc; a National manufacturing company of custom store fixtures, signage, and countertops for retail, automotive, and casino industry with manufacturing facilities in Sioux Falls, SD and Rapid City, SD is seeking a sales person for our countertop division in the Rapid City market. This position is responsible for creating and maintaining relationships with countertop dealers and customers. Part of the on-going duties includes templating stone countertop jobs, obtaining job details and approving finish drawings. This position entails measuring residential countertop projects using PhotoTop software. Training will be provided in PhotoTop. Drafting using AutoCAD 2014 and Microvellum beneficial, but not required.